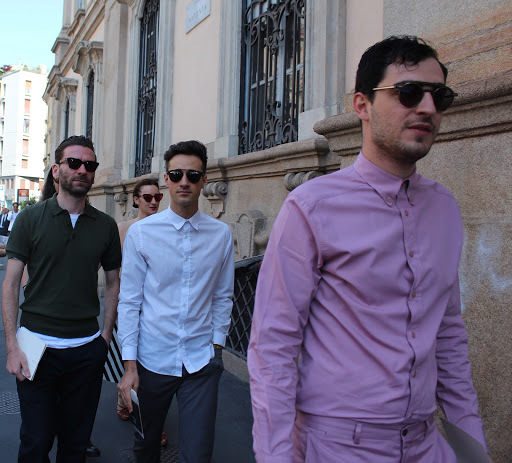 I was in Milan for Men’s Fashion Week and I found some really inspiring and chic street styles. I could just be there on Day 1 because I’m having final exams, nonetheless I got inspired by a lot of cool styles. 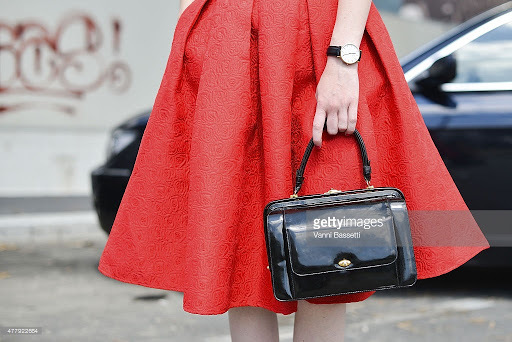 My look for Men’s Fashion Week Day 1 – wearing a Chicwish skirt, Zara shirt, Adidas shoes and Vintage bag. Fashion bloggers (thethreef.com) Filippo Fiora and Filippo Cirulli. Blogger and Editor at glamour. 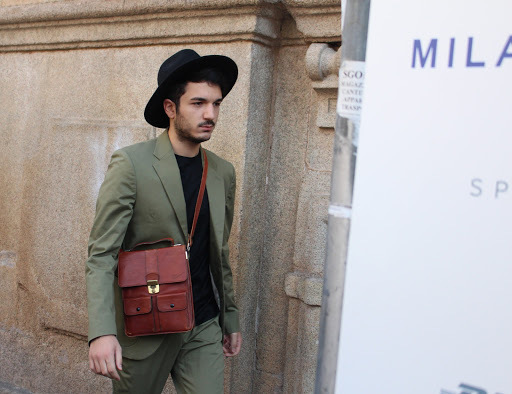 it Tommaso Rosati wearing a olive green suit and a vintage bag. Blogger Erika Boldrin wearing Acne Studios and Asos. Simple shirt and leather top after Jil Sander show. 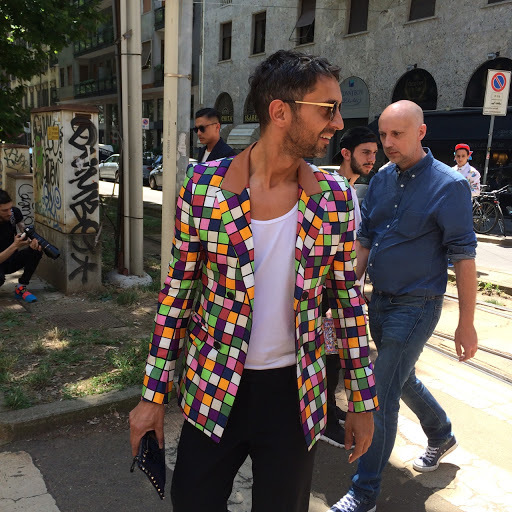 Simone Marchetti wearing plaid Loewe blazer. 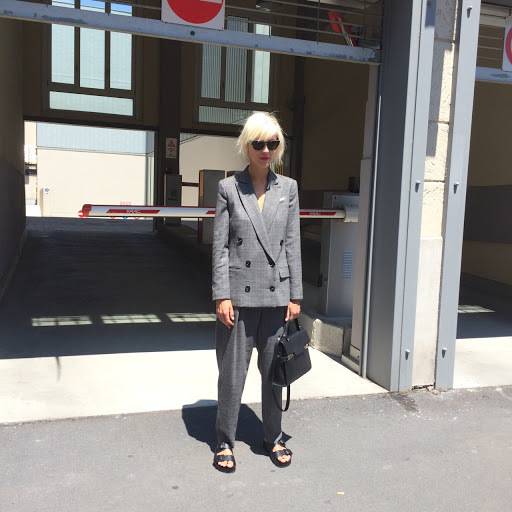 Linda Tol wearing a grey suit and black Birkenstocks. 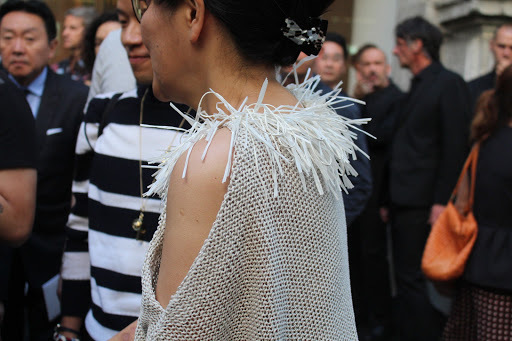 Linda Tol talking to a friend before the Jil Sander show. 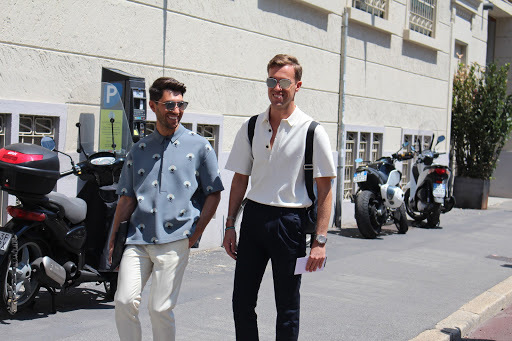 Paolo Stella (on the right) wearing Armani. Thomas Reichegger wearing a Zara suit and Adidas slippers. 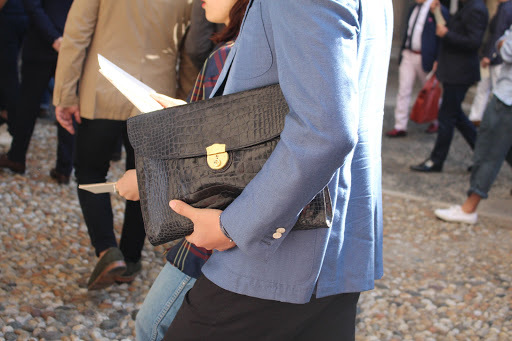 Italian fashion blogger Irene Buffa (ontomywardrobe) in an Asos masculine look. 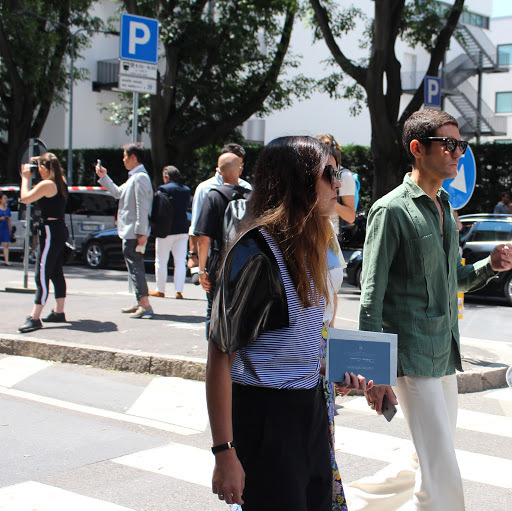 Hope you liked my snaps from Milan.